My 2nd Time Down the Canyon and Now I am Rowing the Boat! 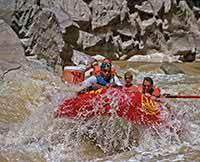 Even being relatively new to rafting, the infamy of “Skull Rapid” located in Westwater Canyon had already been instilled in my head. As training guides we had spent the last week getting practice rowing, but on a much more tame stretch of river. Now it seemed we were being thrown to the wolves, as we were assigned to row the difficult river stretch under the guidance of a training guide. 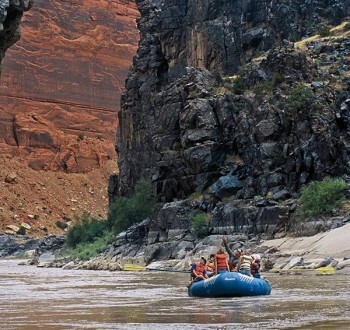 Westwater Canyon is found just a short distance from Moab, Utah and is famous for being an amazing one-day rafting experience. Found along the Colorado River, the stretch was once called “Hades Canyon” due to the 1.7 billion year old black Vishnu Schist that forms the narrow canyon in which the rapids are found. The trip begins fairly peacefully as the rafts calmly make their way down the river surrounded by Utah’s beautiful pink and orange Wingate and Chinle Sandstone formations. Almost in an instance, the much darker, more brooding black Schist seemingly erupts from the earth and slowly begins to close in around you. At this point I am surrounded by the intimidating rock. I have made it through the canyon’s first seven or so rapids, and my heart is already racing. I try to listen to my training guide’s instruction as I wipe the cool water off of my face, but my mind is only half listening. Skull Rapid lies only yards ahead and the steep canyon walls remind me that there is no stopping now. I grip my oars tightly and work to position the boat to correctly make it through the rapid. The rest of the morning seems like a blur as time slows down. The rapid gets thunderously loud and my training guide adds urgency to his voice as we make our approach. Suddenly I can see it. The massive waves crash and churn, and a rush of terror and adrenaline jumps from my heart into my hands clasping the oars. I wait for my training guide to give me the signal. “Now!”, he shouts. I pull the oars as powerfully as I can muster. The first wave hits like a train and rocks us and the boat. I lose my grip on the right oar, and the boat begins to turn. “Pull! Pull! Pull!”, I hear him yell frantically as I fumble to grab the oar. My fingers find the oar’s grip and I start pulling as fast and hard as I can. We crash up and down as the boat powers through the rapid, and then it’s over. The harsh river calms, and I shout for joy as I realize that I have just survived one of the most terrifying and exhilarating experiences of my life. 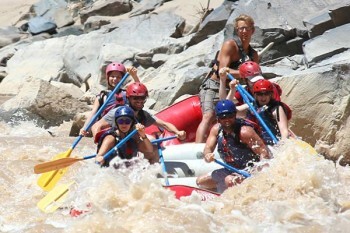 That exhilaration stays with me today, each time I guide a new group of passengers through the mighty Skull Rapid. While the passengers now do much of the work paddling the raft, the sense of accomplishment guiding through the rapid is only magnified as this success comes from a team effort. There is no better feeling than getting to share in the passengers first experience through the rapids of Westwater Canyon. 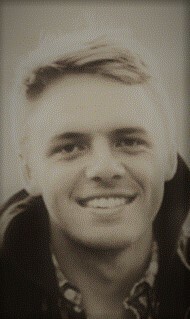 My name is Kyle Owens, and this summer will be my third year guiding for Western River Expeditions. I grew up in the beautiful deserts of St. George, Utah and now am studying mechanical engineering at Brigham Young University. In my free time you can find me on my mountain bike.